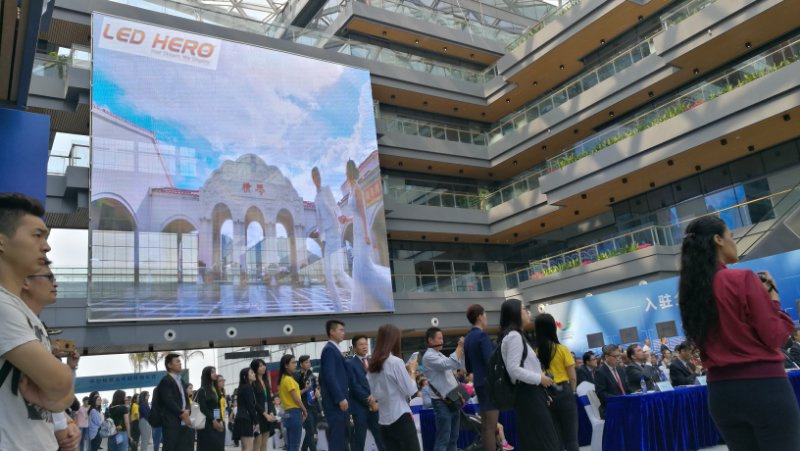 November 9-11, 2017 China-Latin America International Expo (hereinafter referred to as China-Latin America International Expo) is the last day of Hengqin International Science and Technology Innovation Center. The theme of this exhibition is mainly to respond to the "Belt and Road Initiative" advocated by China "The strategy is mainly to narrow the distance between Chinese enterprises and Latin American enterprises so as to exchange in-depth exchanges in such fields as culture, education, sports and tourism. "High penetration, high refresh" has always been the characteristics and purpose of Hernano transparent screen products! Perfect bloom at the event! 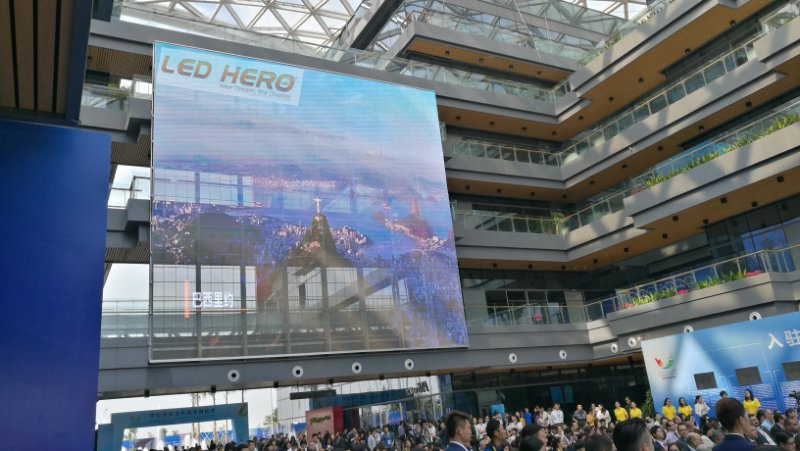 LED-HERO transparent screen products can be based on application requirements, star-shape into the design, matrix, text, graphics, patterns and other different arrangements can achieve a good advertising effect.